Friday November 9th – 11th 2018. Beginning at 6pm on Friday and concluding at 1pm Sunday. We are excited to be returning to the Healing Tree Centre to lead the Wild Hunt this Samhain. An outdoor Medicine Circle has been lovingly built to honour the Celtic Gateways. This will be our cauldron that will represent all of the worlds as we sweep clean, sing home the lost souls and stand up for life. This is deep authentic medicine work that has its roots in these Isles. We will prepare ourselves over Friday evening and Saturday for the evening festivities where we will woad up and dance this collective journey around the sacred fire. The Wild Hunt is a form of ritual battle against the coming forces of death and destruction. Here at the gateway of the dark half of the year, we work closely with the Morrighan, with Sun God Lugh, the Bone Mother and the Tuatha dé Danann to help the souls of the dead cross over. We will open up a portal and keen them home. The Fomorian gods of chaos look to rob the worlds of prosperity. We will sweep clean these forces for the highest good of all beings. Since 2004 Andrew Steed has led the Wild Hunt in Scotland, the USA, Barbados and Canada. He studied with Tom Cowan many moons ago and through working with the land and his spirit guides this work has deepened significantly. The Morrighan has gifted cleansing journeys, the 3 strands of poetry plucked on the Dagda’s harp have taken this work to the core. This medicine brings deep healing on a personal level to those who attend and a wonderful cleansing to the Land, the ancestors and the worlds between the worlds. It is the backbone of our indigenous medicine pathway, it is a huge responsibility and it is also an amazing celebration of the Celtic New Year. This year Kernow hosts this gathering! Come and join us in the Samhain season and stand up for life! Ceremonial work with the Bone Mother, the Morrighan, Lugh, the Dagda and the Tuatha De Dannan. Life death rebirth in the thin veil of Samhain. The Wild Hunt is a transformative journey that invites participants to work as a hollow bone. Here at the dark half of the year we work the traditional medicine of the Celtic tribes and bring prosperity to all beings as we celebrate the coming of Winter, the Celtic New Year, Samhain. We will spend the weekend working with the Bone Mother, the Cailleach, Ceridwen, Beira. We will deepen and strengthen a relationship with the Old Crone as we help her pick up the bones of the dead. We will work closely with the Morrighan, the goddess of death and war, as we work this gateway for life and peace. Participants will gain an understanding of what it means to stand in Battle Truth and release War Rage! The Second Battle of Mag Tuired reflects through the ethers as we stand up for life helping prosperity to flow in and around all beings. Each year Gwynn ap Nudd/Cernunnos leads the Wild Hunt and we will work with this energy. Weaving as our ancestors have before us, we will cleanse and sweep the chaotic darkness that looks to permeate life and steal prosperity from all beings. We will enter the fray in battle truth to knock the Fomorian gods of chaos off course. This collective shamanic experience is a profound journey that is part of the Gallic medicine of 3. As we ceremonially sweep destructive forces from the worlds we work with Ceridwen collecting the bones and we open up a portal to sing home the lost souls of the dead. This authentic medicine offers deep healing on a personal level to attendees and also to the ancestors, the sidhe, the worlds between the worlds and to the land. This profound journey is an important yearly ritual for cleansing and healing Mother Earth. This authentic medicine has brought deep healing on a personal level to those who have attended and also to the ancestors, the sidhe, the worlds between the worlds and to the land. This profound journey is an important yearly ritual for cleansing and healing Mother Earth. Come and join Andrew and the many returning participants who will be traveling from Scotland, England and the USA to join brothers and sisters in Kernow in the warm hospitality of The Healing Tree. We will we drink from the Cauldron of Inspiration and celebrate the indigenous medicine of our ancestors. Participants will receive 2 nights accommodation, 2 dinners, 2 breakfast and 2 lunches, all vegetarian food. If anyone has allergies and special requests (there may be a small charge for special meals), then please inform Derek Gane at derek@healingtree.org.uk with any allergies. The per person accommodation cost is based on two people sharing. Please send cheques for the workshop portion to Andrew Steed 8 Durham Terrace Lower Largo Leven KY8 6DS Fife or go to the Merchandise Page at www.andrewsteed.com and pay via PayPal (A 4.5% surcharge is made for PayPal payments). Alternatively contact Andrew for details of direct debit payments into his bank account. £170 non-refundable early bird workshop rate is due by September 21st. £115 venue, accommodation and food costs needs to be paid in full before the day. These costs to be sent to Derek Gane at The Healing Tree Centre, West Curry, Launceston, PL15 8NS. Late registrations £199 workshop costs plus £115 for venue, accommodation and food. For commuters there is a £70 venue and food cost per person if paid in full before the day. This is made payable directly to Derek Gane. For more information on Andrew Steed please visit www.andrewsteed.com. For more information on The Healing Tree Centre please visit their Facebook page or www.healingtree.org.uk. Andrew Steed is a descendant of the Davidson & Innes Clans and of Daines and the Steed’s the Nomadic River Folk of the Fens. He teaches internationally and has been leading Celtic rituals throughout the USA, Canada, the Caribbean and the UK & Ireland. 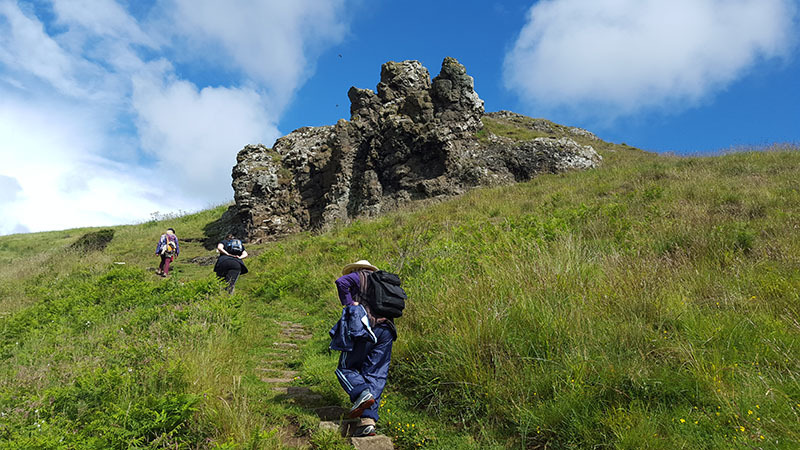 He has led 50 plus pilgrimages in Scotland, Ireland, Cornwall and Wales since 1999. 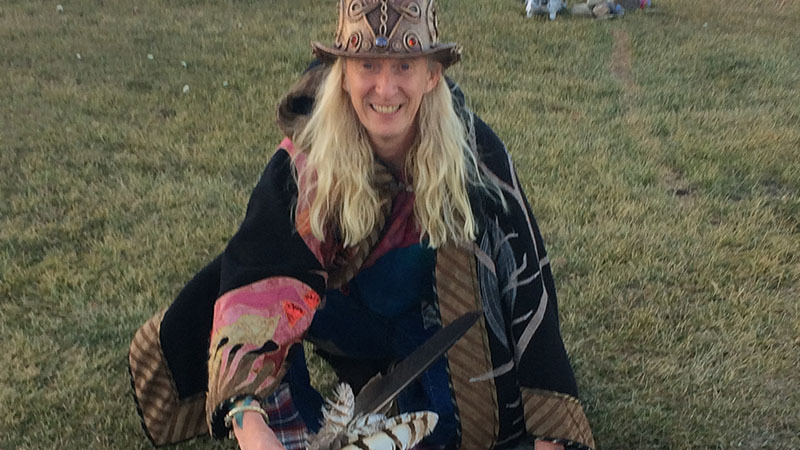 He was a featured presenter at the Society of Shamanic Practitioners Conference in Dorset & Glastonbury in 2013 and 2015. His work within the next year takes him to Canada, USA, Jamaica, India, Ireland, England and in Alba. He is a professional storyteller & an author of Celtic Spiritual Teachings. 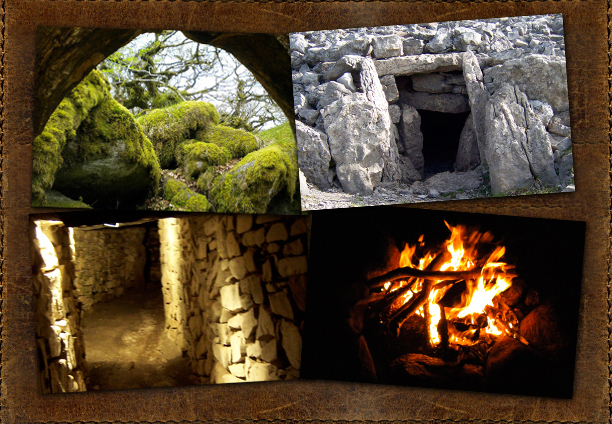 Come and awaken to the Celtic spirit, connect deeply with the land and celebrate the magic of Samhain. 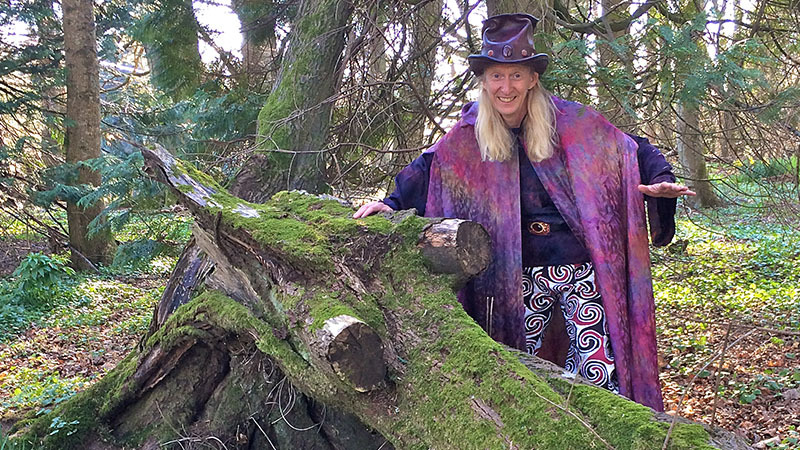 Experience with shamanic journeying is a pre-requisite for this gathering. For more information call Andrew Steed on 07718701824 or email asteed@andrewsteed.com.